Image and Logic is the most detailed engagement to date with the impact of modern technology on what it means to "do" physics and to be a physicist. At the beginning of this century, physics was usually done by a lone researcher who put together experimental apparatus on a benchtop. Now experiments frequently are larger than a city block, and experimental physicists live very different lives: programming computers, working with industry, coordinating vast teams of scientists and engineers, and playing politics. 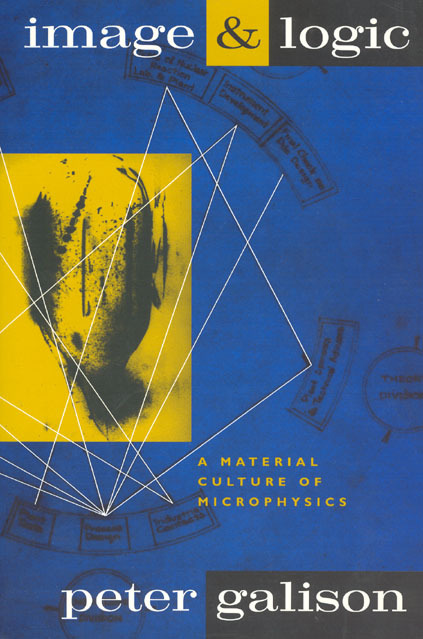 Peter L. Galison probes the material culture of experimental microphysics to reveal how the ever-increasing scale and complexity of apparatus have distanced physicists from the very science that drew them into experimenting, and have fragmented microphysics into different technical traditions much as apparatus have fragmented atoms to get at the fundamental building blocks of matter. At the same time, the necessity for teamwork in operating multimillion-dollar machines has created dynamic "trading zones," where instrument makers, theorists, and experimentalists meet, share knowledge, and coordinate the extraordinarily diverse pieces of the culture of modern microphysics: work, machines, evidence, and argument.